Learn how The ONIX Corporation’s dehydration systems can serve a number of agriculture industries recycle their excess citrus pulp. Citrus Pulp is considered one of the most important fruit crops in the world. Citrus pulp can come from any fruit that is considered a citrus such as oranges, tangerines, mandarins, lemons, limes, and grapefruits. Oranges make up over half the world citrus production. Citrus fruits that are processed are primarily used to make juice, which results in large amounts of co-products that don’t have a use for what they were originally processed for. Much of the co-product that is left behind is citrus pulp; the solid residue that remains after all of the juice is squeezed out of the fruit. Citrus pulp makes up almost three quarters of the weight of the fruit itself. The pulp includes the peel, internal tissue, and the seeds. Citrus pulp is often used for animal feed because of its high energy content. It is easily digestible by most animal species. A major problem with the co-product of citrus pulp is its affinity to spoil quickly which can be hazardous to whatever environment it is in. Most of the pulp is dried, which makes it easier to transport when it is exported to different countries. After the citrus pulp is dried, it can be pelted, which doubles its bulk density and makes it easier to handle when it needs to be transported as well. Pelleting of citrus pulp also reduces the amount of dust that dried citrus pulp gives off. During the drying process of citrus pulp, the water content is reduced and lime is added to help neutralize the acidity and release water. 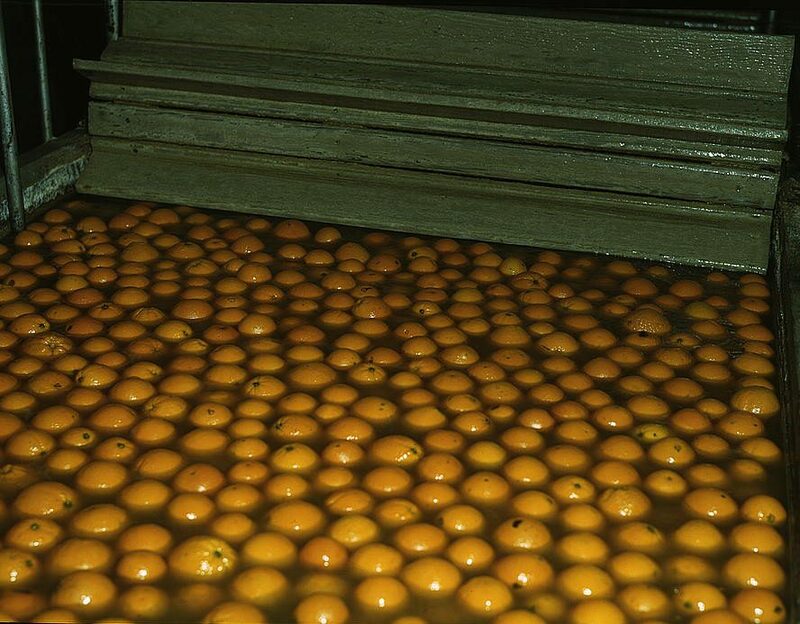 The liquid that is removed during this process is often used to make a citrus molasses that is then used as feed for animals. Fresh pulp has the ability to be dried directly in rotary drum driers, which can be provided by The ONIX Corporation. All of these uses have the potential to benefit from drying, milling, bagging, or pelleting from citrus pulp processing systems that can be created by the engineers at The ONIX Corporation. The rotary drum dryers manufactured by The ONIX Corporation have the ability to not only help with the drying process of citrus pulp, but make it more energy efficient for your company. We have the ability to create citrus pulp processing systems so that we can dry, mill, cool, pellet, store, bag, and ship a variety of excess product that your company may not know what to do with. We combine our dryer technology and that of our material handling to create the best system and solution for your needs. Since citrus pulp has a variety of uses, we can create system that does any or all of these processes depending on your needs. If you are looking for a solution to a problem that you think The ONIX Corporation may be able to help you with, please don’t hesitate to look further into our Rotary Drum Dryer and Material Handling Systems Technology. Learn more about our Rotary Drum Drying Systems and how they can help with processing and drying citrus pulp.